SANTA FE, N.M. (KRQE) – A new law is making its way through the Roundhouse that would make it illegal to organize or participate in coyote killing contests. The inspiration behind this bill came after the sponsors heard reports of people leaving behind dead coyotes without regard after a contest. The bill would make it illegal for someone to organize, sponsor, arrange, hold or participate in coyote killing contests for prizes or for entertainment. People in favor of these contests said it helps with coyote overpopulation and with protecting livestock. Supporters of the ban said these contests are cruel. The bill passed its first committee hearing this morning. The law would not change the coyote’s status as an unprotected animal that can be killed without a license. The Legislative Finance Committee said in 2015, more than 55 coyotes were intentionally killed with guns. In January, the state’s Land Commissioner signed an executive order banning killing contests on state land. Senators Moores and Steinborn have tried to pass this bill before, but it was postponed indefinitely in the 2017 session. Quay County in eastern New Mexico has declared itself a “Second Amendment Sanctuary County” in protest of pending gun control legislation in the state. The Quay County Commission voted unanimously to pass the resolution, as reported by Albuquerque’s KRQE-TV. Curry and Union Counties passed similar situations earlier this week and Eddy County Commissioners are slated to vote on their version next Tuesday. The state’s House Republicans commended the move in a statement, saying they are proud of Quay County (pop. 10k), for standing up for the rights of New Mexicans. Republican lawmakers represent the minority in both the state’s House and Senate. The pending gun control legislation includes House Bill 8, which would expand background checks to gun sales between private citizens, the station reported. Licensed gun dealers are already required to conduct background checks by state law. To our members and supporters, thank you for standing with us this legislative session. We knew that there would be an assault on our right to keep and bear arms going into this year, but the attacks we have seen this year are the worst we have seen in New Mexico. Anti-gun politicians continue to abuse their power by playing games with committee scheduling, by filing multiple versions of the same bill to make us fight each one, and by breaking the rules of floor debate to ram through their agenda. And those are just the tactics they use to push legislation that ignores criminals and targets regular, law-abiding New Mexicans. Two bills that focus on criminals, one that would increase the penalty for using a firearm in the commission of a crime and one that would increase the state penalty for a felon caught in possession of a firearm, haven’t even received a hearing in their first committee. 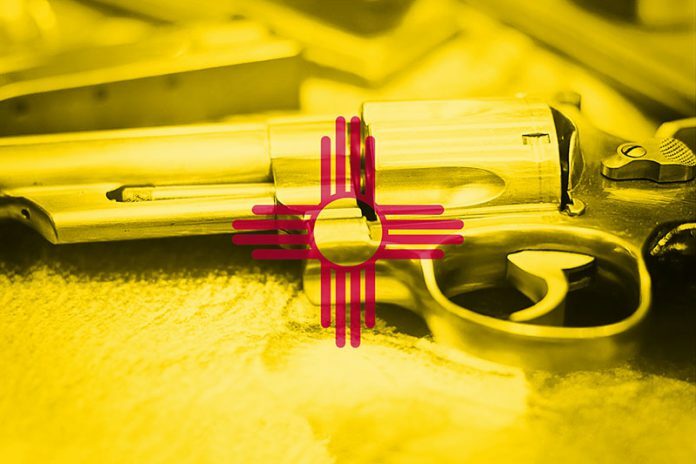 It is clear that law-abiding gun owners, not the criminals who terrorize New Mexico with near impunity, are the target this legislative session. We are at the half-way point of the session now; while this fight can be exhausting and time consuming, we need to push back even harder than we have before. But we also need more hard-working, honest New Mexicans to stand with us. Could you please forward this message onto your friends? Encourage them to get in this fight with us. Trying to make us feel helpless and give up has been the modus operandi of our opponents – but NMSSA will refuse to back down or give up. The CMP extends its congratulations to the following competitors for achieving this prestigious status! 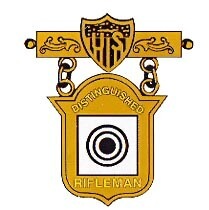 The most recent shooters to earn Distinguished Badges are listed below. 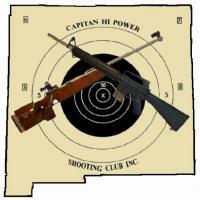 To view the official list of all Distinguished shooters, visit http://ct.thecmp.org/app/v1/index.php?do=reportDistinguishedShootersByCriteria. Last Chance To Buy Your Tickets! 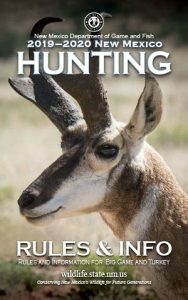 Once again, the department will auction over a dozen premier hunting and fishing packages to benefit the Game Protection Fund of New Mexico. The event starts at 5 p.m. on Saturday, Feb. 16 at the Creative Arts Building at Expo New Mexico, on the State Fair Grounds at 300 San Pedro Dr. NE, Albuquerque, NM 87108. Don’t miss your opportunity to bid on one of many spectacular hunts, including elk, ibex, oryx , mule deer, coues deer, pronghorn, turkey, upland game hunting and premier fishing excursions. 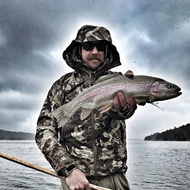 The Keynote Speaker this year is Ryan Callaghan, conservation director for MeatEater and a member of Backcountry Hunters and Anglers, as well as a national board member. Ryan has been a passionate member of the outdoor community, growing up guiding hunting and fishing and playing in the West. Seating is limited and tickets are going fast, so don’t delay! Opens 5 p.m. Saturday., Feb. 16. Dinner served at 7 p.m.
Auction begins at 8 p.m.
For more information, please contact the New Mexico Wildlife Federation, (505) 299-5404 or call the department toll-free, (888) 248-6866. 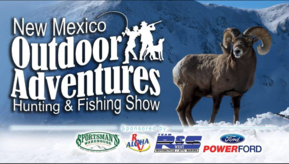 SANTA FE – The annual New Mexico Outdoor Adventures Hunting and Fishing Show opens at noon Friday, Feb.15 and continues through Sunday, Feb. 17, in the Manuel Lujan Building at the state fairgrounds in Albuquerque. 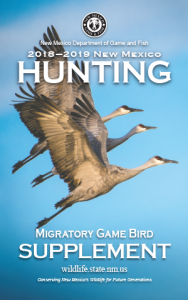 The event is bigger and better than ever with new exhibits and hands-on activities hosted by the New Mexico Department of Game and Fish. New this year will be a free ‘catch and release’ pond located in the red barn. Try your luck catching a tagged fish to win a prize sponsored by a vendor. At the start of each day’s show, the first 15 people to catch a tagged fish will win a prize from one of the shows vendors. There will also be prizes Saturday starting at 1 p.m. Visitors can receive instruction on off-highway vehicles (OHV), fishing, archery and shooting. The event features hands-on demonstrations of the latest equipment for hunting, fishing and outdoor recreation. Boats, kayaks, OHVs, and RVs will be on display and conservation organizations, outfitters and guides will be on hand to answer questions. The show opens to the public from noon to 6 p.m. Friday, 9 a.m. to 6 p.m. Saturday, and 10 a.m. to 5 p.m. Sunday. Admission is free to all licensed anglers, hunters and trappers. Youth younger than 18 get in free and everyone else pays just $3. For more information, please visit the department website, http://www.wildlife.state.nm.us. ALBUQUERQUE – More than 800 archers competed at the eighth annual National Archery in the Schools (NASP) State Tournament Feb. 9 at the Albuquerque Convention Center. Caillie Waters of the Albuquerque Institute for Mathematics and Science at the University of New Mexico (AIMS@UNM) scored 266 out of a possible 300 points to take first place among female high school competitors. Josiah Romero-Millowa, also of AIMS@UNM, was the top male high school archer with a score of 276. In the middle school division, Korvia Zuni, of Tony Hillerman Middle School, scored 279 out of 300 to lead the girls while Brandon Miller, of Camino Real Middle School, scored 277 as the boys’ front-runner. In the elementary school division, Samar Mouri, of John Baker Elementary School, was the top girls’ top scorer at 249, edging out Amilia Lopez of Coronado Elementary School, also scoring 249, by shooting 10 bulls eyes during the competition. Benjamin Potters, of Clovis Christian School was the top boys’ top scorer at 266. 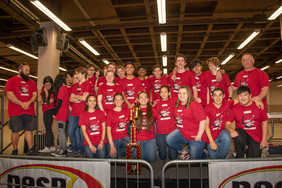 In team standings AIMS@UNM scored highest in the high school division with a score of 3121 out of a possible 3600 points while James Monroe Middle School won their division with a score of 3110. Clovis Christian school took first place in the elementary division with a top score of 2669. The top 10 boy and girl scorers in each individual division qualify to participate in the NASP Western Nationals in Salt Lake City, Utah in April. For complete list of tournament results please visit www.napstournaments.org. More than 100 public schools across New Mexico participate in the National Archery in the Schools Program and more join every year. Schools receive free training for instructors and the Department of Game and Fish provides 50 percent of the funding for each school to purchase archery equipment. It costs about $3,000 to outfit a school or organization with bows, targets, backstops and other equipment to get a program started. Many schools incorporate the program into existing physical education or after-school activities. Federal funding through the Wildlife and Sport Fish Restoration Program of the U.S. Fish and Wildlife Service makes National Archery in the Schools Program possible. The Pittman-Robertson Act of 1937 dedicates federal excise taxes collected from manufacturers of firearms, ammunition and archery equipment to national wildlife restoration programs, which include hunter education, shooting and archery programs in addition to wildlife surveys, transplants, and the purchase and management of wildlife management areas. For more information about the National Archery in the Schools Program and how your school can get involved, contact John Martsh, R3 program manager for the Department of Game and Fish at (505) 222-4719 or d.martsh@state.nm.us. The House Consumer and Public Affairs Committee is scheduled to hear HB 130 tomorrow at the Roundhouse. 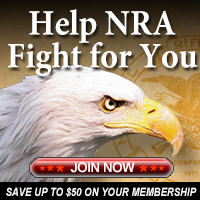 It is important that you to contact the committee members and strongly urge them to oppose this bill, which directly effects your Second Amendment rights! 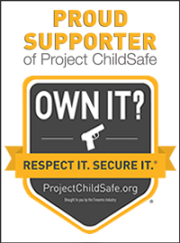 This bill,sponsored by Representative Linda Trujillo, would make gun owners criminally and civilly liable if a child gains unsupervised access to an unsecured firearm. As you know, New Mexico already has a first degree felony child abuse statute on the books. This statute holds adults accountable for putting children’s lives or health at risk in any manner. It is not the responsibilty of the state to mandate how law-abiding citizens store their firearms. If you have questions about this bill, and would like to find out how you can become involved in our Grassroots efforts in New Mexico, contact me at amanda@nrailafrontlines.com or call (703) 943-6566. Due to the high number of RSVPs for our first workshop, your NRA-ILA Grassroots team has added a second workshop to our schedule. This workshop is also being held at the Holiday Inn in Albuquerque, on Saturday, February 16 from 5 PM to 7 PM. This workshop will explain how your New Mexico team is doing at the Roundhouse to fight the anti-gun legislation, and to find out how you can get more involved in our on the ground efforts. Food and beverage will be provided. Because spacing is limited, be sure to click on the RSVP button below to let us know if you can come! If you have already RSVP’d for the first workshop, please do not RSVP for the second workshop. If you would like to know more information about this and other events, or would like to find out more information about volunteer opportunities for NRA-ILA in New Mexico, contact me at amanda@nrailafrontlines.com or call (703) 943-6566.